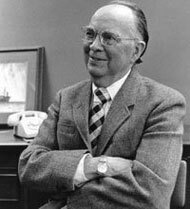 The following history builds upon materials provided by Charles Huttar, who taught for many years at Hope College and has served as a tireless supporter of CCL and its mission over the decades. 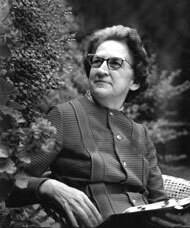 The Conference on Christianity and Literature can trace its roots to the fall of 1950, when the young chair of the English department at Seattle Pacific College, Elva McAllaster, mailed “A Newsletter for Christian Teachers of College English” to colleagues at institutions across the United States. She invited her readers to send their comments and items of news, along with names to be added to the mailing list “for a potential number 2 next quarter.” For the next five years, Professor McAllaster continued to edit, publish, and distribute these informal and personal newsletters, which were meant to open channels of communication among Christian teachers and scholars who worked at colleges across North America but who rarely were able to gather together at conferences or professional meetings. The newsletters included information about new course ideas, notices of job openings, summaries of sessions at the MLA convention, and suggestions concerning "books you ought to read." Prompted by Elva McAllaster's encouragement, readers of the newsletter began to arrange informal meetings for Christian fellowship during the MLA and NCTE conventions in the 1950s. The network established through that newsletter led to the formal organization of the Conference on Christianity and Literature at a conference on Christian writers and writing held at Wheaton College in 1956. A constitution was drawn up, and Clyde S. Kilby, the chair of the English department at Wheaton, was elected to serve as the organization’s first president. For a decade, the annual writing conference at Wheaton provided the setting for CCL meetings, but the venue shifted in the 1960s, when the organization established a relationship with the Modern Language Association, as one of its Allied Organizations. During the 1960s, CCL also began to promote a series of regional meetings at which keynote speakers and scholars could gather to present their work, learn from others, and benefit from the fellowship of Christians across the denominational and disciplinary spectrum. At the same time that the institutional structure of CCL was expanding, the informal mimeographed newsletter became a quarterly journal whose emphasis was upon scholarly articles and book reviews. The word “newsletter” was dropped from the title, and the publication became known as Christianity and Literature. Membership in CCL is coupled with a subscription to the journal, which is received by close to a thousand individuals and libraries. During the reorganization of the Modern Language Association in the early 1970s, members of the Conference on Christianity and Literature played a significant role in establishing a Division on Religious Approaches to Literature within the organization. Early on, CCL members provided the core for the executive committee of this division, which eventually became the Division on Literature and Religion. Even as it engaged the broader scholarly community at the MLA convention and elsewhere, CCL also continued to expand beyond its original evangelical borders. The organization developed an ecumenical cast, as Catholic and mainline Protestant scholars began to fill its ranks in significant numbers. The breadth of this expansion can be seen in the Book of the Year Award, which the organization has given for more than four decades, and in its Lifetime Achievement Award, which was first granted in 1992. This latter award has had a remarkably accomplished set of recipients, including Richard Wilbur, Nathan Scott, Denise Levertov, Wayne Booth, Czeslaw Milosz, René Girard, Paul Ricoeur, Wendell Berry, John Updike, Frederick Buechner, Marilynne Robinson, Robert Alter, and Katherine Paterson.